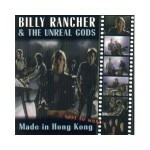 This second installment in a series of CD releases compiling the recorded Billy Rancher legacy, finds Billy and his band the Unreal Gods traveling in the Fall of 1982 to New York’s vaunted Power Station to record the demo tracks that would eventually persuade Clive Davis to sign the boys to his Arista label. In addition are the tracks the band recorded at LA’s Chrystal studios in early 1983. It was at this time that Billy discovered the re-currence of cancer that would kill him within three years. And finally tracks are included from the Gods’ last round up at the warehouse on Belmont Street in the Spring of 1984. It’s often difficult to separate Billy’s charisma from his real talents as a singer and songwriter. His myth is greater perhaps than was the reality. As a live performer, Billy Rancher has never had a peer in the Northwest: not Kurt Cobain, not Eddie Vedder, not Art Alexakis. But as a songwriter, Billy was often rather pedestrian, with occasional flashes of brilliance. And his recorded œuvre generally fails to capture the energy that Billy exuded so freely on stage. The fact remains that the best recording produced by Billy Rancher and the Unreal Gods was their first, Boom Chuck Rock Now! . For the most part, the songs in this collection sound rushed in their conception and sloppy in their execution. The Power Station sessions seem especially misguided. Vocally, Billy seems unfocused and unsure throughout the six songs recorded there. The three songs recorded in the aborted LA sessions, ring truer to the spirit of the band and succeed for that reason. The songs recorded in Portland seem the most relaxed of all, though not fully realized expositionally. Still, overall, the material is not very interesting, except for its intrinsic historical merit. It is thin and often poorly constructed, sometimes lacking the essential components necessary for complete songs. While he was alive, Billy bore no pretensions about his abilities as a songwriter. Throughout his career he strove to improve. And subsequent recordings will bear out the fact that Billy grew as an artist as he grew to be a real man— while his very existence was inexorably ebbing away. “Police Told Me” sounds dated, with Alf Ryder’s interplanetary synth lines orbiting around Johnny Dufresne’s Flock of Seagulls-like guitar interjections, revolving around the same four chords throughout the entire song. Billy’s vocal is assured but somewhat buried by studio effects. “Social Will Call” is a skanky number that rides upon Dave Stricker’s bubbling Reggae tinged basslines over two-chords. Again the “chorus” is actually just a variation on the verse, reminiscent of some of XTC’s very earliest forays. “Boyish Tears” seems incomplete, but captures Billy’s earnestness with a simple production of voice and acoustic guitar, while producer Joe Delia (Alf Ryder’s brother) adds flourishes of classical piano. A little gem. “Used To Hang Around” is an upbeat number from the LA sessions, propelled by Billy Flaxel’s surfy drums and Dufresne’s Chuck Berryish guitar riffage. Here again, the song goes nowhere past variations on the four chord theme of the verses, but is carried all the same by Billy’s raw vocal vivacity. “Made In Hong Kong” finds Billy pondering some rather interesting geography: “Made in Hong Kong by a Japanese woman…” Well, tell that to the new regime. The New York remake of “Uptown” is faster, nearly hurried, as if the band were worried that the tape would run out before the completion of the song. Because of this, Johnny Dufresne’s delicious vibrato laden guitar licks are mostly swallowed by the arrangement. And, as with almost all of the songs, the lick is pretty much the entire basis for the song— departures from that humble framework are rare. “Chances Are,” recorded in LA, actually departs radically from that structure, containing, not only a sort of chorus and a real bridge, but a key change as well! A distinct John Lennon feel hovers around the pretty melody, the band providing a happy, upbeat format for Billy’s vocal musings. And “Shortage Of Variety” seems to paraphrase Depeche Mode’s “People Are People” and Zager and Evans’ “2525” at the same time, a feat not easily accomplished. Again, Billy and the Gods seem to be attempting to widen the scope of their presentation, incorporating an actual chorus and bridge. “Straighten Me Out” is the natural successor to “Symmetry” from Boom Chuck Rock Now!. Dufresne’s jittery, vibrato effected guitar bounces against Ryder’s synth string filigree while Flaxel and Stricker jive in a jaunty, Jamaican calypso; completing a satisfying trifecta from the LA labors. “Point Of No Return,” recorded in Portland, is probably the Unreal Gods’ most ambitious effort, combining sophisticated instrumentation with Billy’s most mature lyrics to that point. Ryder’s synth orchestration is especially apt. Speeded up, but essentially the same as it’s earlier incarnation, Billy adds an extra verse to The New York rendition of “Rocky Road,” hoping to finally tie the loose ends of the song together. There exists a later version of the song (hopefully to be released at a later date), which the band recorded in Portland, where Billy actually adds whole new sections to the arrangement in an attempt to make the song the hit it deserved to be. He never understood that the real hit was the original— similar in form and content to Johnny Cash’s classic “I Walk The Line.” It was Billy’s signature song, telling in its simplicity, universal in its sentiments. “Happy Santa Claus” stands as a sonic documentation of Billy doing his best Elvis, while slyly, surreptitiously glorifying the use of cocaine: “I’m a happy Santa Claus/When there is some snow/”Cause when I got some snow/It’s a wild sleighride.” “Providence” and “Last Of The Rockers, “culled from some of the very last Unreal Gods recordings, points to the musical sophistication the band had acquired, generating speculation as to the directions they might have taken, had Billy won his battle with cancer. “Providence” utilizes a familiar ’40s style chromatic run to create an aural sense of sentimentality; while “Last Of…” simmers to a boil, as Dufresne’s cocky guitar riff reminiscent of early INXS, burns underneath. What was and what could have been, that is the conundrum surrounding the sad tale of Billy Rancher. What remains is an uneven body of work that does not consistently stand up without the distinct image of Billy performing it. As songs, in and of themselves, most of these tunes don’t qualify. They are extended fragments. Without Billy’s “bigger than life” personae to inflate them, they are as lifeless as a punctured Macy’s Parade balloon. Yet in those intriguingly brief instances in which we dimly view what might have been in these fifteen years hence, we glimpse the loss of a great flame, the brightness and intensity of which will likely never be witnessed in these parts again. It’s been two years since the release of Swamp Opera, the Taildraggers’ previous album with Burnside. In that time, this hardworking Blues/R&B trio has tightened up their presentation immensely. Joined here by prestigious guests such as Curtis Salgado, Peter Boe, DK Stewart and even a background vocal appearance by Burnside Records mogul Terry Currier, guitarist Tim “Too Slim” Langford and the boys continue in the tradition of their previous album by addressing nearly every musical style within the wide range of the Blues/R&B idioms. They cover all the bases, without sounding as if they are sacrificing their musical souls for the sake of variety. Langford has matured nicely as a vocalist and guitarist. Bassist Tom Brimm and drummer John Cage provide sure-handed support through every stylistic departure. And that’s saying a lot. The record begins and ends with a bang, with the rollicking cover “Uranium Rock” kicking off the set and the hard driving road rocker “Coming Home” bringing up the rear. On the former, Langford performs tasty duets with guest saxist Chris Mercer, while on the latter, DK Stewart shreds the sonic scenery with chainsaw piano work. “A Girl Like You” is a bouncy, upbeat funky Blues style number, wherein Slim shows off a few Stevie Ray-like licks. With “Have To Let You Go,” Slim duets with guest harmonicat John Hodgekins across a nifty shuffle rhythm. The band reprises from the first album its knack for Zydeco stylings with “You & Me.” Accordionist Frank Ruffolo again sits in with the band, adding a distinct Cajun flavor to the mix, while Langford’s whacked out slide guitar sizzles like chittlins frying in a pan full of deep grease. Curtis Salgado ups the ante with an appearance on the strutting blues “Sad Boy.” His crisp harmonica and soulful baritone on lead vocals lend the song a dynamism not readily reached on other tracks. The chestnut “One More Shot,” bears a structural resemblance to Chuck Berry’s “You Never Can Tell,” DK Stewart’s wild, skittering piano phrasings calling to mind the work of Professor Longhair. The title track, “Blues For Eb” is a beautiful elegy to a departed friend. Langford’s supple guitar articulations suggest the best work of Peter Green in early Fleetwood Mac. Honest emotions run freely in Slim’s fretful fingers, as crying tones float into sonic oblivion. “Waitin’ For The Sun To Shine” is a swampy number that is buoyed by Slim’s murky slide guitar and Brimm’s churning bassline. The instrumental “Tiger Love & Tulip Greens” is a foot stomping romp through the cowpies in a rip roaring country hoedown. “Killing me,” a Robert Crayish blues is colored by Boe’s lonesome organ pads. Tasty. And “Dollar Girls” is a slutty swaggering strut of the Stones’ “Honky Tonk Woman” nature, Cage’s driving cowbell counting out the rapid heart rate. 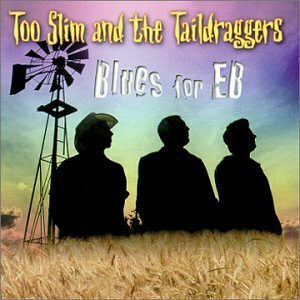 Too Slim and The Taildraggers are one of those increasingly rare journeyman bands that could knock out a sweaty set in any bar in the heartland: From the Canadian border to the Rio Grande from Portland to Memphis, and leave the crowd begging for more. Their music is not new, nor innovative, but is a roots intensive course in American popular music. They are stalwart musicians, not without quirks or flaws, yet perfectly scripted for the raw music they play. A welcome addition to their growing catalog. 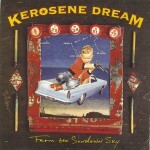 Something of a supergroup, comprised of members of the popular bands Nine Days Wonder, The Strangers and Renegade Saints, Kerosene Dream has grown from the unplugged three-piece we reviewed in these pages one year ago, into a five (and sometimes six) piece band, replete with a rhythm section comprised of drummer Derek Brown and the peripatetic Brent Williams. This recording, featuring the enhanced lineup, collects eleven new songs with two remakes from the previous recording into a pleasant compendium of light Folk/Rock music that is not likely to cause a riot with its energy, but rings true all the same with understated earnestness. The format and focus have not changed much for the original trio, comprised of singer/songwriters Dave Coey, who also plays acoustic guitar and Bart Ferguson who plays harmonica with their trusty lead guitarist and background vocalist Ben Sturgill. But now the songs are fleshed out with bass and drums as well. The locus for the ensemble remains their impeccable two and three part vocal harmonies. Sometimes these harmonies are wasted on mediocre material. But when the boys’ compositional aim is as high as their level of vocal skill, they are capable of generating some heat with their songs. The successful songs are often penned by Coey, who seems to be the more consistent of the two songwriters. His “I Can See You” is a good natured look into the universe of a five year old child. Brown’s snappy drumwork and Sturgill’s slick slide guitar help to solidify the arrangement around the tight vocal harmonies of the chorus. “Arizona Lightning” is a well-crafted country tinged number. Sturgill’s pretty solo in harmony with Ferguson’s harmonica is very nice. The other two songs in his “trilogy” are not quite as effective, but are interesting in the story they tell; leading one to wonder why the band chose to break them up, rather than have them play in succession. The remake of Ferguson’s “Style” is an easy going ballad, punched up by Brown’s smart drumming. Sturgill adds a tasty slide solo in the break to abet the musical cause. Ferguson’s “Wicked Rain” could be the haunted work of Townes Van Zandt as sung by Seals and Crofts. 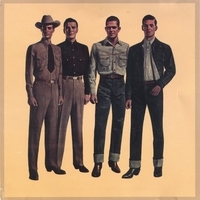 Of the quartet of songs co-written between Coey and Ferguson, “Outlaw Song” gallops along nicely through familiar minor-chord sagebrush and “All In Black” continues the pursued outlaw motif in a sort of Wilco informed update of Marty Robbins’ “El Paso.” The best of the four is the gentle, sentimental ballad “Magdalene,” in which a smoky hickory wind blows warm against the cold prairie stars. But the strangest entry among the bakers dozen is the band’s remake of Coey’s “Phoenix” from last year’s recording. Brown lays down a trippy hip hop rhythm over which Coey sings his fairly straight ahead Folk song. The result is an interesting hybrid sound that may or may not have mass appeal, but one that is very strange, none the less and that the band might explore in more depth on another project. 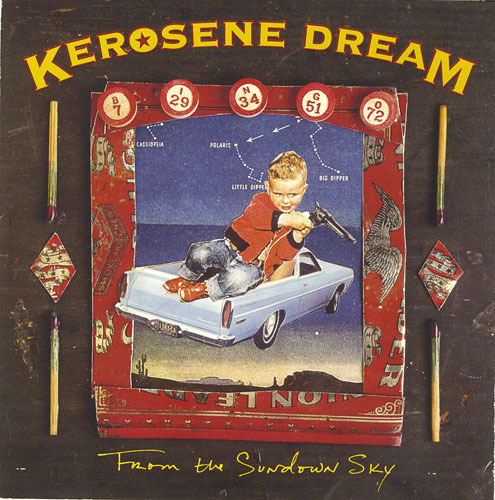 Kerosene Dream don’t raise much of a ruckus with their bunkhouse musings, preferring a low-key approach that fully embodies the term “Easy Listening.” While they are not going to offend anyone with their laidback, peaceful easy feelings, neither are they likely to evoke a torrent of response. But what they do, they do very well. Berg and his band of savvy sidemen weave superbly crafted songs with an artful assurance characteristic of the likes of Marshall Crenshaw or Elvis Costello. His is a rare talent, as uncommon as a lightning strike. Supported by the expert rhythm section of Cory Burden, who toiled for ages with the Blubinos, and the ubiquitous Eric Furlong, who seemingly plays bass with half the bands in town, and joined by exotic lead guitarist Andy Ricker, Berg cuts a wide stylistic swath between Country flavored nuggets and Power Pop confections of the highest order. All of this is delivered through an introspectively ascerbic world view that is accessible, without being mundane, or the least bit maudlin. A tricky proposition to be sure, which Berg pulls off with a paramount of skillful precision. But for the Country overtones, “Fall Off The Wagon” could easily be the work of Steve Winwood in his early Traffic days, or Greg Allman in the Allman Brothers’ “Midnight Rider” period. With the key line “I fall off the wagon every day/No one lives forever, so they say,” the song speaks to a country sensibility wherein alcohol always remedies the darkest of personal crises. Ricker’s rumbling, low guitar figure, seemingly borrowed from the Beatles’ “I’ve Got A Feeling,” sounds like a hangover hovering above a mind clouded by heavy duress. “Burn Up At Re-Entry” is a hard-bitten rocker, which Burden and Furlong motivate with a tough, jackrabbit beat. Berg’s insistent eighth notes on the low guitar strings lend the song a certain choogling Credence Clearwater Revival texture that is solidified by Ricker’s bright, slashing guitar solo. Another one of those songs that seems as if it must have been written ages ago, the lyrics to “Irregular Heart” are a natural for Pop or Country music. Berg recorded this tune with John Moen and Jim Talstra of the Maroons (both formerly were members of the Dharma Bums as well), in the rhythm section and Hazelite Pete Krebs on guitar, but things aren’t altered appreciably by the different lineup. Here Berg takes a softer vocal approach, creating a sound that is not unlike that of the classic SoCal alternative band of the ’80s, the Three O’Clock. Here Berg borrows (as he is wont to do} melodic fragments from Terry Stafford’s Elvis-like hit of the mid-’60s, “Suspicion.” He is never blatant about this, more reverential than referential, and subtle in lending songs an air of timelessness. The moody ballad “God Loves A Fool” could pass for a John Lennon song, as sung by Freedy Johnston. Berg gives the song his “sensitive-guy-lost voice through the verses, with a little more bluster in the choruses. “Undertaker” takes off with Ricker’s snarling guitar riff, adapted from the Pretenders’ “Middle Of The Road,” then makes a hard right turn into Country Rock territory. “Lovers Leap” bears a certain melodic likeness to George Harrison’s “All Things Must Pass” from his solo album of the same name. Using a similar 6/8 time signature to Jimi Hendrix’ “Manic Depression,” “Free” is a bit manic itself. Ricker contributes throaty, ’60sish lead guitar to the déjà vu experience. The delightfully sentimental “Your Fortune” highlights Berg’s ability to tool eruditely conversational lyrics: “Your fortune said you would meet someone you knew well in your past/How could you know your fortune lied? I’ve never been that man/If you wake up and I’m here without a clue/Your fortune really did come true.” Over a pretty, plaintive melody, liberally sprinkled with Brian Wilson-like flourishes, Berg lays on the line his most succinct lyric. And it works. Brian Berg and 44 Long create the sort of music that one doesn’t hear much on the radio anymore— clever, witty lyrics with melodies that have real sustaining power; verses, choruses and bridges that actually relate to each other thematically! Wow! While the energy level on Collect Them All never jumps much above the “somnambulant” level, Berg and his cohorts masterfully create memorable songs that will make you think, even if they don’t necessarily make you dance. As everyone should know by now, Joy Pop Turbo is the brainchild of two talented guitar playing singer/songwriters, Heather Savoy and Jody Garner. The band used to be called Phineas Gage, until they discovered that there was an avant gard Pop band in Seattle called Phineas Gage. Gee. Who could have projected that there would be such interest in an obscure 19th century guy who lost all shame after a spike was accidentally jammed into his frontal lobe. Weird. 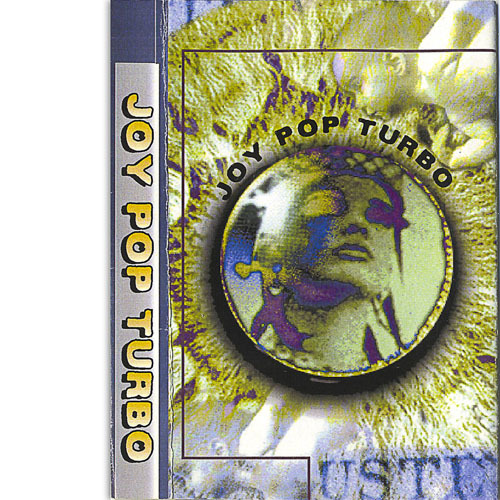 So they are called Joy Pop Turbo. Heather and Jody are joined by Steve Hess on drums and Pete Ficht on bass. Pete also fronts Noisecandy, but plays a supporting role in this band. This band belongs to the two women. They have always shared singing and songwriting duties equally. And because their styles and voices are so similar, it is not always readily apparent just who is doing what in the mix. But the sound they create lies somewhere between Lush and Republica, with touches of Juliana Hatfield and Luscious Jackson thrown in. The record doesn’t really get rolling at first. Savoy’s “Love Hate Crimes” and Garner’s “Sharp Tongued Girl” seem slightly awkward and off-kilter, as if the band members are feeling their way toward true ensemble work. But by the third song, Heather’s “Billy Blaster,” the ship is righted. Over Hess’ driving drumbeat, Heather adds a loopy wah-wah guitar as Jody grinds out jagged chords. Heather’s girlish voice lilts above the din of the verses, but turns bitter in the segue. “How do you define cruel? Define cruel!” By the Ozzy informed bridge, all hell breaks loose. A jointly composed instrumental, the aptly named “Intermission,” builds on Jody’s marimba-like interplay with Pete’s bass, as Heather jots out a telegraphic melody. The piece develops into credible shred sections a few times before falling back into the original mode. Jody’s chunky “Fish” kicks into immediate overdrive, as she and Heather whale on the craggy chords of the verse, slickly sliding into the exotica of the chorus. Jody’s “Hera” is especially rewarding. Her interaction with Heather is nearly telepathic in the arpeggio of the intro. Where one set of strings leaves off, in jumps the next. A nice effect. The song breaks into a gentle canter, striding on Ficht’s unusual bass articulations and Jody’s tightly reined electric and acoustic guitars. But the winner of the set is Savoy’s :”Mr. Simons.” An angry swarm of stinging guitars and fat, bumblebee bass attack through the verses and circle over head in the catchy choruses. Joy Pop Turbo have an aptitude for fashioning memorable hooks out of unique musical scenarios, Their music is smart, accessible and inventive, if ultimately somewhat lacking in polish and execution. With the catalog of great songs that Jody and Heather have written, one would hope that one day the two would collect the best of them onto a single CD; recording them at one of the city’s quality studios, with a top-notch producer. Now that would be a hit album!